The Milwaukee Brewers, who previously created a hit Sandlot parody, had a hilarious take on the movie Mean Girls. The team released the video during spring training, and outlined key scenes from the film that was released 15 years ago. The Brewers' parody opens with manager Craig Counsell giving newcomer Yasmani Grandal a map to spring training. Grandal, who signed with the Brewers in February, acts as Mean Girls character Cady Heron, who is played by Lindsay Lohan. Counsell points out where the team cliques sit. 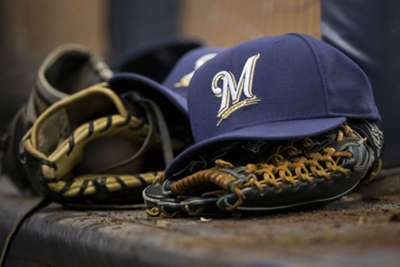 Counsell describes himself as the "cool manager" before going on to explain that there are the Hollywood Wannabes, the MVPs, the Big Teddy Bears, the Card Players, the Online Gamers, the Muscleheads, the Dugout Band Geeks and the Prospects. Grandal then must decide which group he fits in with. Pitcher Brent Suter impersonates Regina George, who convinces Grandal to sit with him at the Hollywood Wannabes' table. The clip ends mocking the infamous line from the movie that says, "On Wednesdays we wear pink." The Brewers' version, however, says: "On Fridays we wear pinstripes."